After any construction or refurbishment work, there is guaranteed to be mess. After the inconvenience of having the builders in, it’s a relief to be free of the noise and disruption, however, dealing with the waste materials, dust and dirt that is left behind means that it can be difficult to get back to work or enjoying your home as promptly as you would hope. 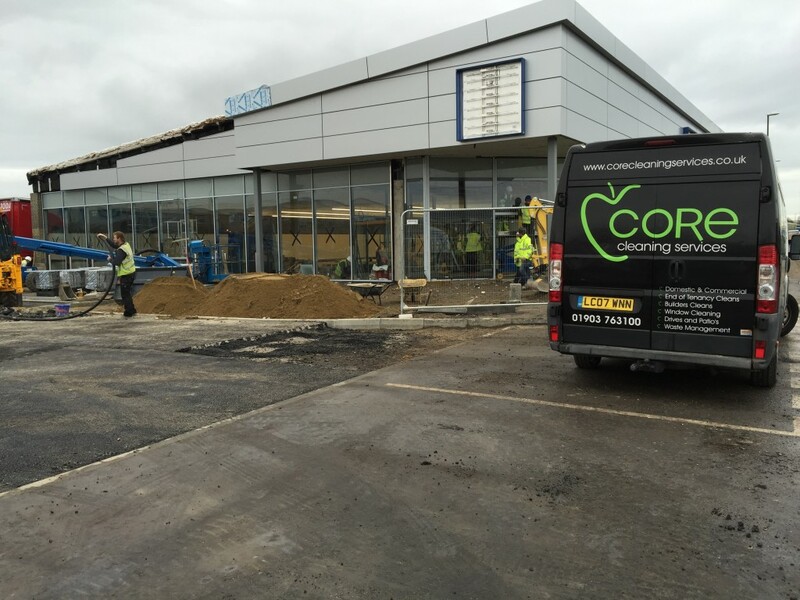 Core offers an after builders cleaning that aims to take that headache away by removing the leftover materials and other construction waste. 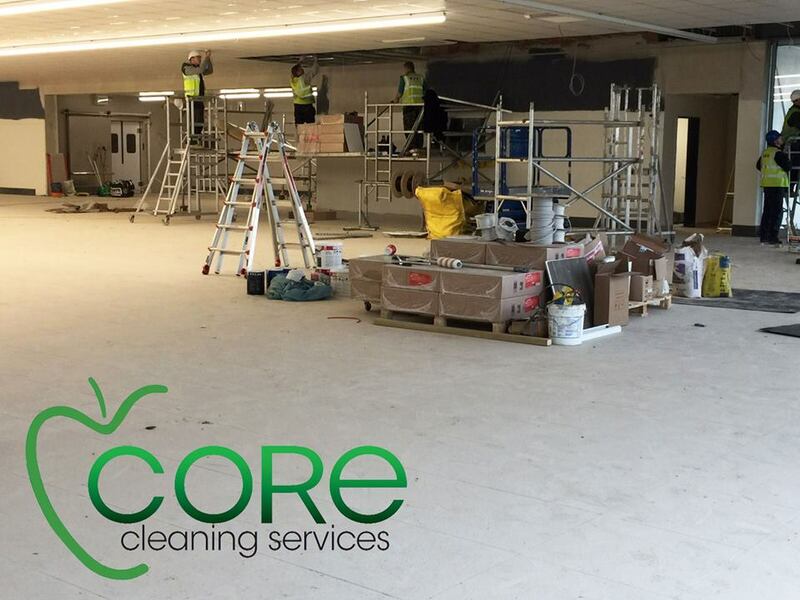 Our post construction service is designed to remove materials such as brick and rockwool, plasterboard, timber and used packaging along with any spills, stains and dust. 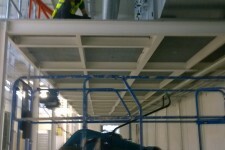 Waste materials can be not only inconvenient, they can cause a health and safety issue if not disposed of properly while dust and other particulates can cause damage to fixtures and fittings, furniture, carpets and clothing if not dealt with as soon after construction work is completed as possible. Our after construction clean up aims to free you of such problems as soon as possible, leaving your place of business or home sparkling and tidy. No matter how professional and considerate the construction contractors you employed are, there will always be a certain amount of dust and debris left behind. 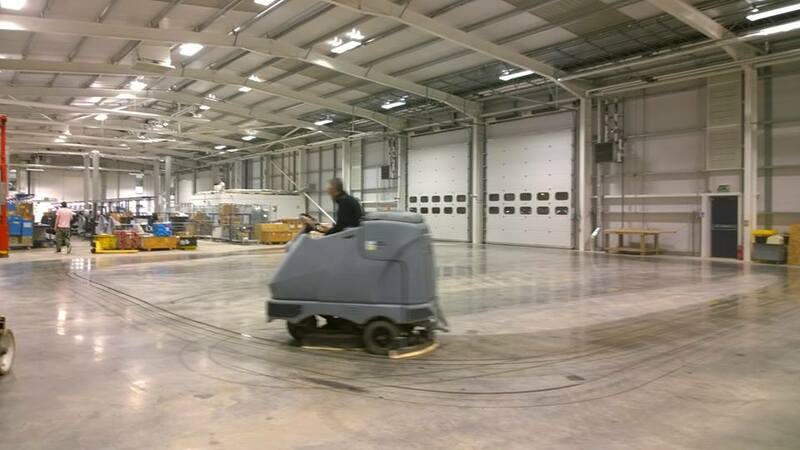 However, because our staff are dedicated, professional, skilled operatives, getting your premises free of all the dirt and dust is simply a part of our service. 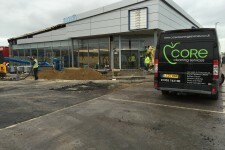 Our after builders cleaning package is a specialist service which requires a broad range of our specialists’ skills. 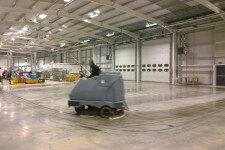 We promise to remove all building trade waste, then move on to clearing dust, dirt and grime from floors and carpets. We also clean windows, lintels, ledges and sills, skirting, dadoes and shelves, door frames, light fittings and switches, as well as the walls and ceilings and removed dropped paint, mortar and grouting. Builders waste materials are often hard to dispose of as they are inherently dirty and often bulky or heavy. If packaging, containers Gyproc, rubble and timber has been left behind, it’s an unpleasant job to handle, remove and dispose of it all. 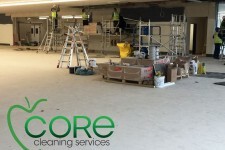 Cores’ post construction cleaning removes all the waste materials that are associated with any level of construction and refurbishment work and disposes of it safely in fully registered and accredited waste handling facilities. As well as clearing debris safely, we also use as low chemical products as possible, making them perfectly harmless to use around the home or commercial premises. Because clearing up after builders can be time consuming and labour intensive, we always endeavour to schedule our service for a time that’s convenient for you. 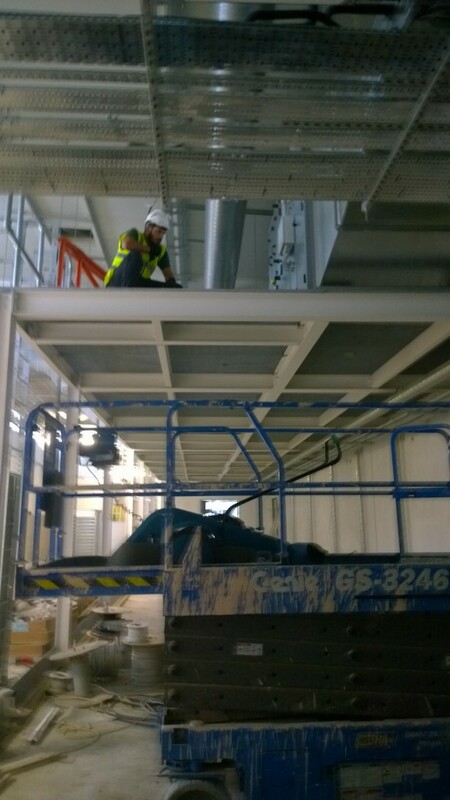 If you’d prefer to be out of the house while we take care of cleaning up after a domestic construction project we can work during the day, or, if your commercial premises have been modernised or refurbished, we can work through the night to cause your business as little disruption as possible. Our experienced building waste clearing staff aim to work as efficiently as possible, causing as little disruption or inconvenience as possible.